Study trip for Polish MPs to the United Kingdom (1999-2001). Action - Local Government (2000-2001). Polish Parliamentarians as new players on international democratic scene during study trip to London had a chance to learn how to be a good MPs and what their role in free, democratic country should be. Sharing post decentralization lessons on responsibility for region and its development with polish regional politicians, local government representatives, business, academics and Regional Development Agencies took place in all the regions of Poland with the assistance of British experts in the field of establishing regional development strategies. Seminars and workshops brought them closer to democratic practices. 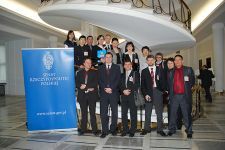 Political party study trips to Poland executed in cooperation with the NDI- USA (2000-2009). 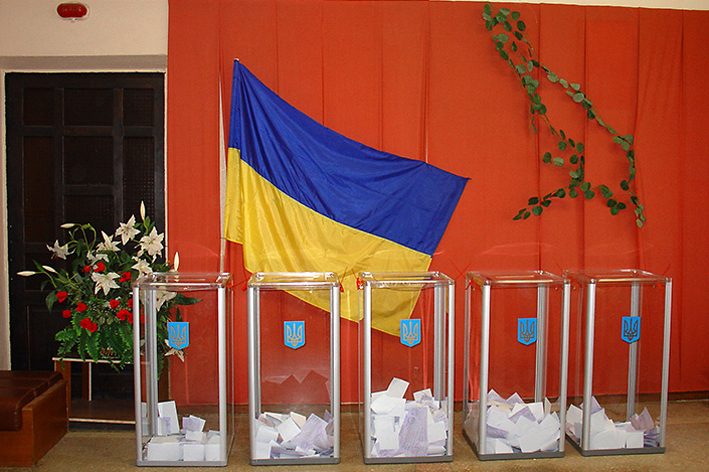 Presidential elections in Ukraine (2003 – 2005). Building capacity of political parties in Ukraine (2005-2007). ENEMO - Presidential election observation mission – Ukraine 2004.
structures, election campaign teams, candidates, party activists, etc. In Poland these politicians participated in training sessions and met with relevant representatives of all main Polish political parties, administration, media and NGOs. During other EID projects dedicated to Ukraine (2003-2005) there were 1900 Ukrainian participants trained in election campaigning, ballot rigging, election procedures, working with the voters and political marketing during several Seminars in Ukraine and election observation trips and workshops in Poland. As part of the joint observer mission linking 16 countries over 54 Polish EID observers travelled to various regions of Ukraine for two rounds of elections. After Presidential elections the EID worked with 8 Ukrainian parties in 4 regions to help them to build democratic party structures after changes brought by the “Orange revolution”. 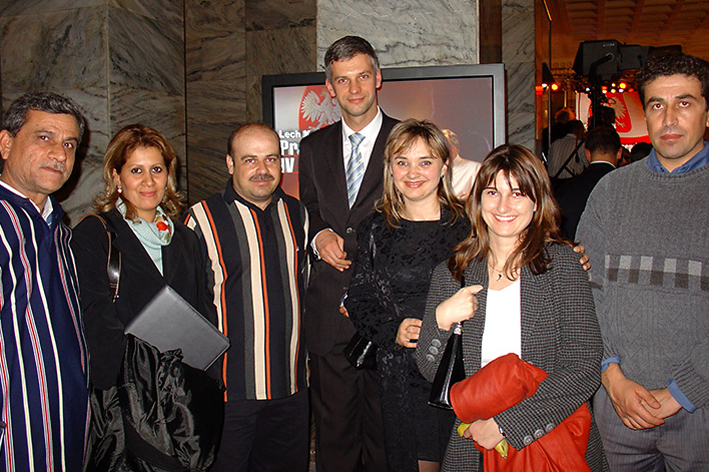 Study trip to Poland for election monitors – preparations for referendum in Iraq (2005). Cooperation with IFES during their study trip to Poland for members of Egyptian National Election Commission (2008).